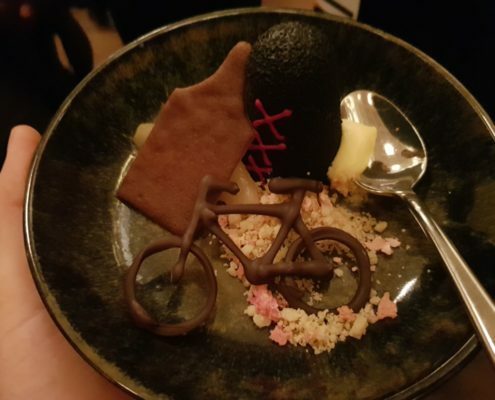 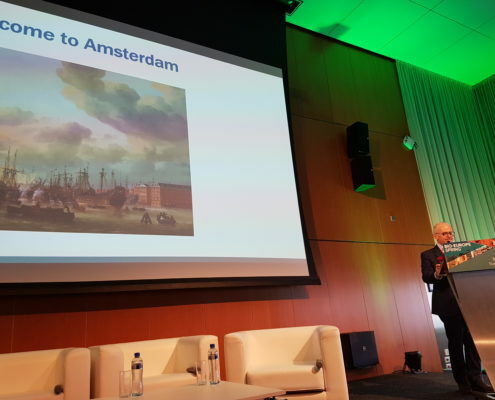 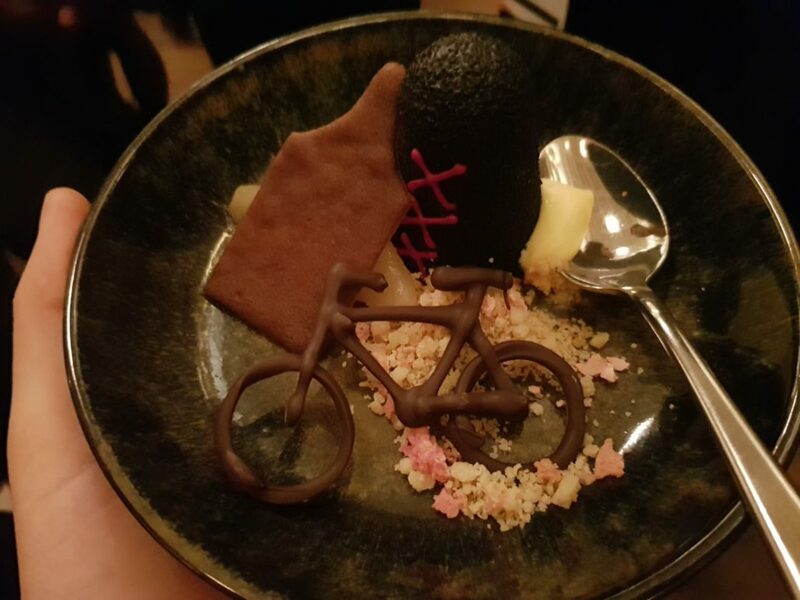 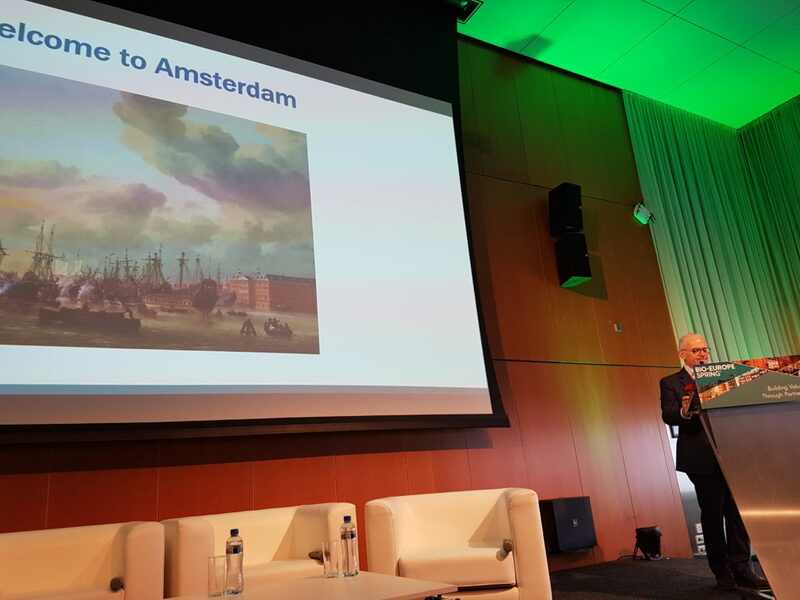 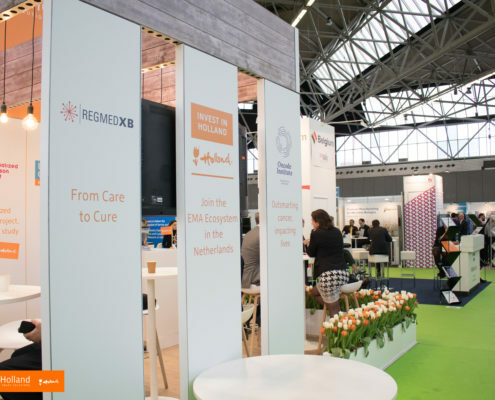 Last week, BIO-Europe Spring took place in Amsterdam. 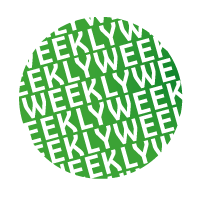 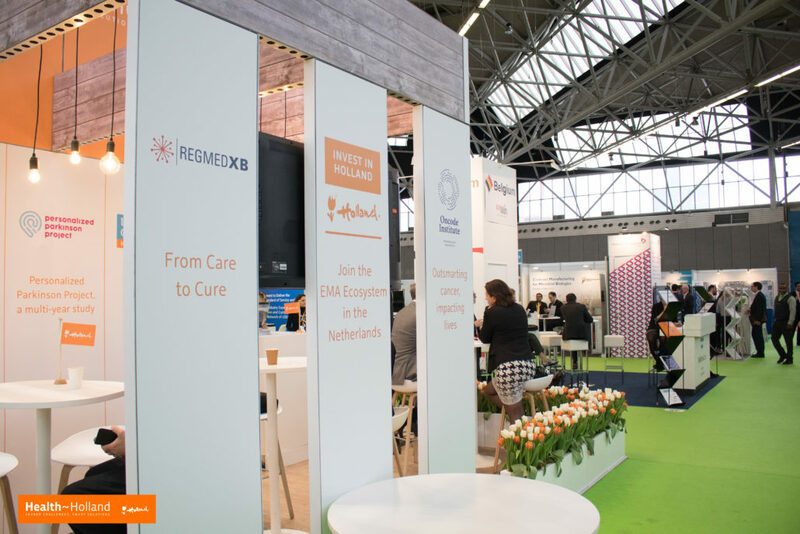 Over 2,500 life sciences professionals gathered in our country’s capital city to engage in three full days of partnering meetings, educational sessions and networking. 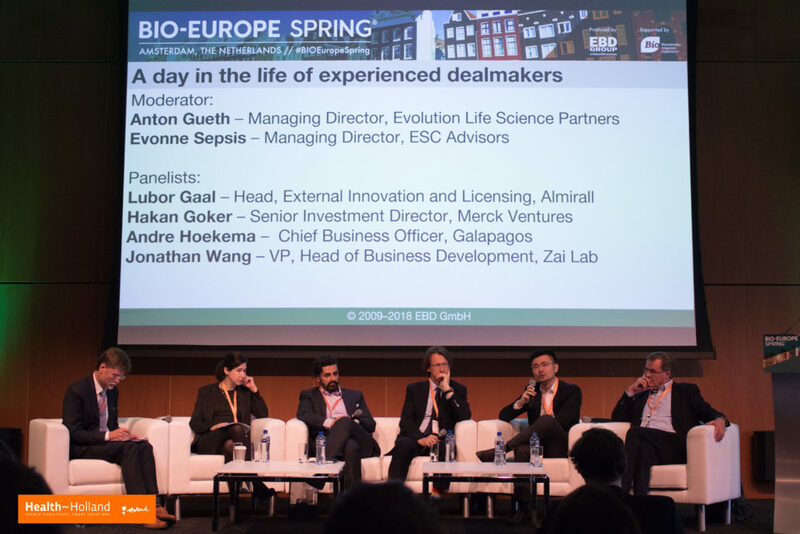 The conference, organized by the EBD Group, is one of Europe’s largest and most successful partnering conferences for the biotech and pharmaceutical industry. 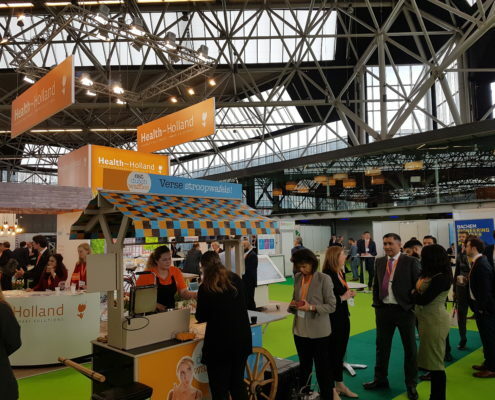 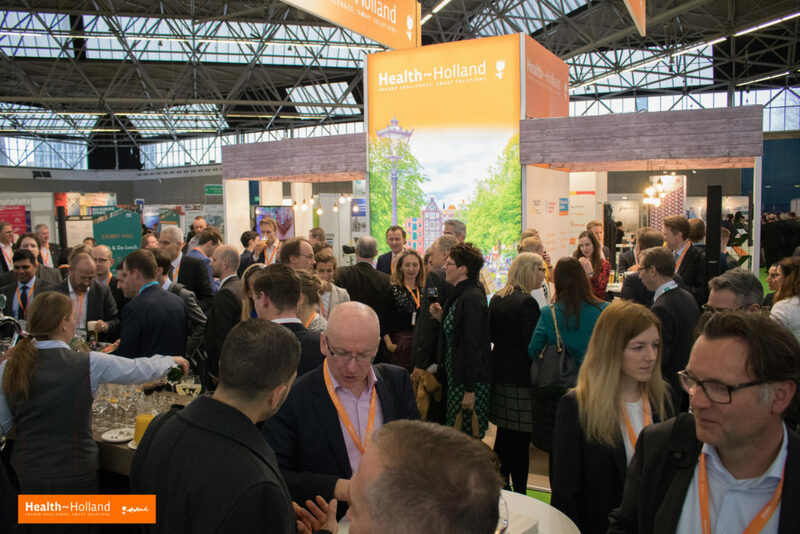 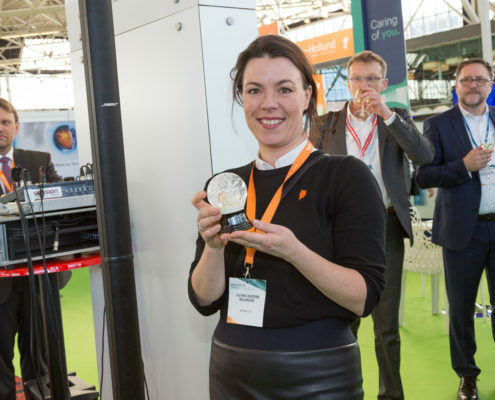 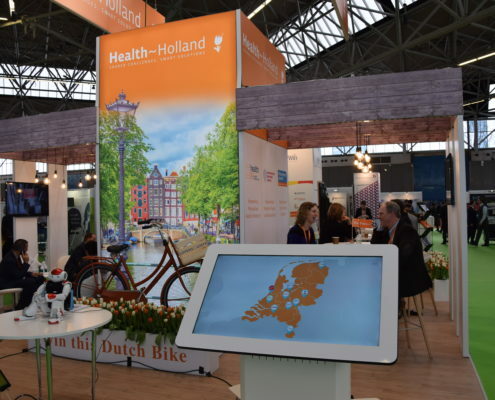 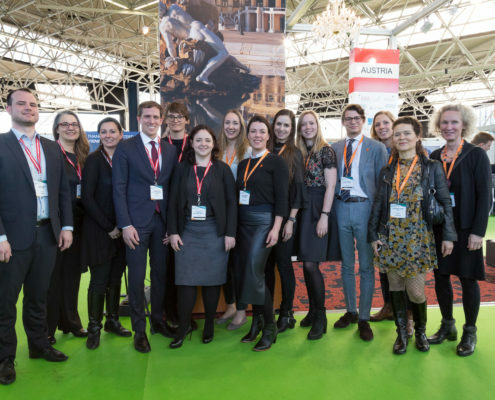 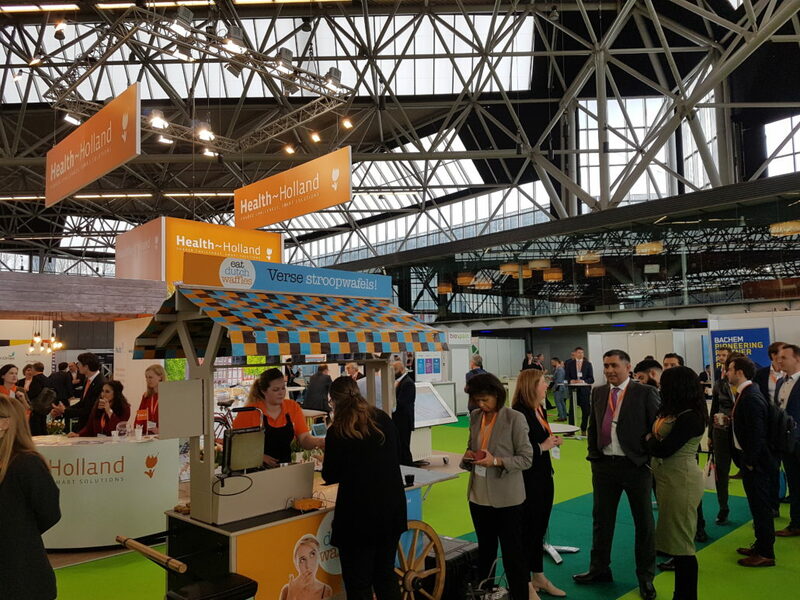 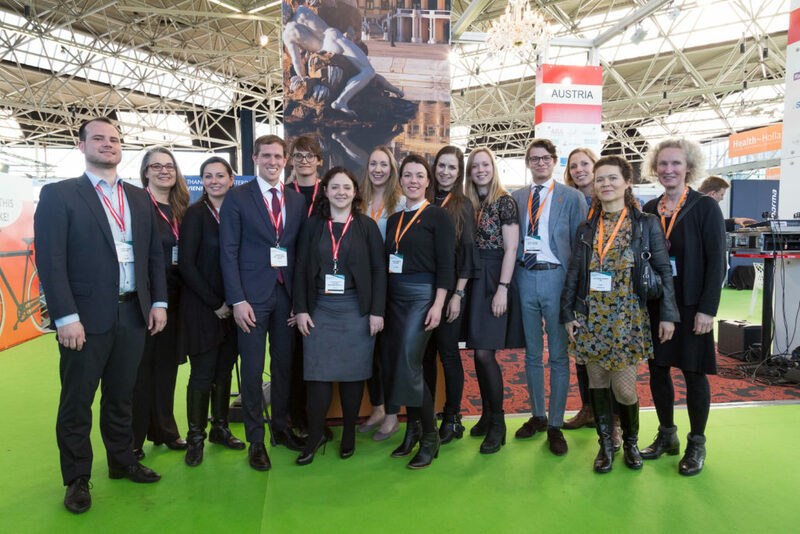 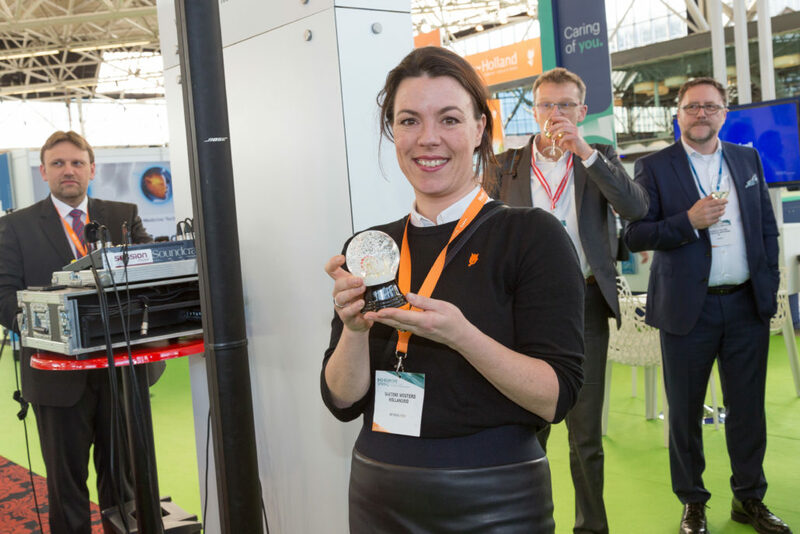 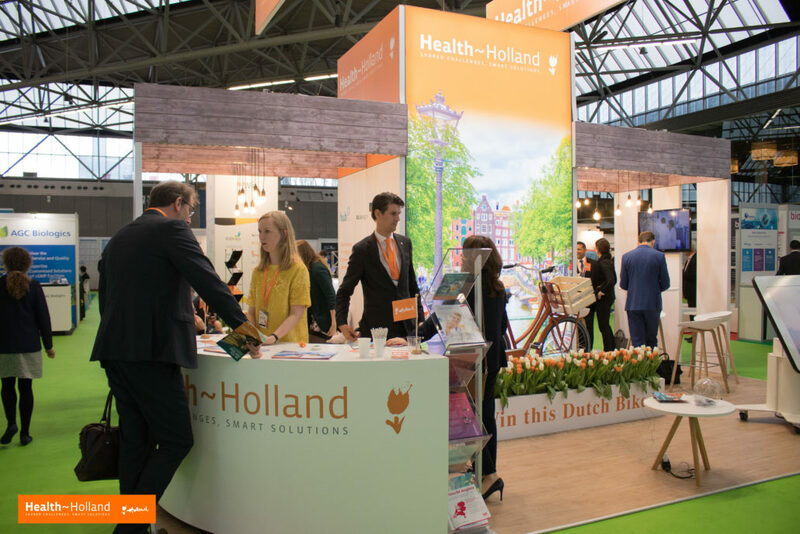 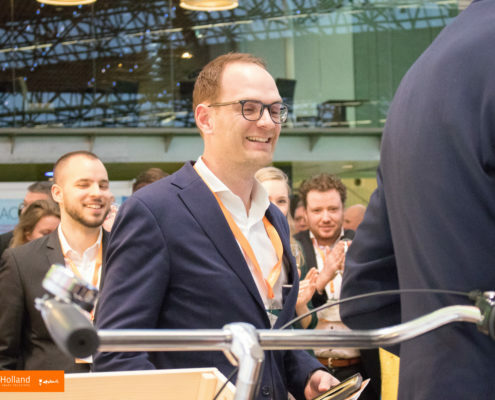 Thanks to this edition’s national partner Health~Holland, the conference not only turned orange, but also convincingly presented the Netherlands as Europe’s most attractive and innovative biopharmaceutical environment. 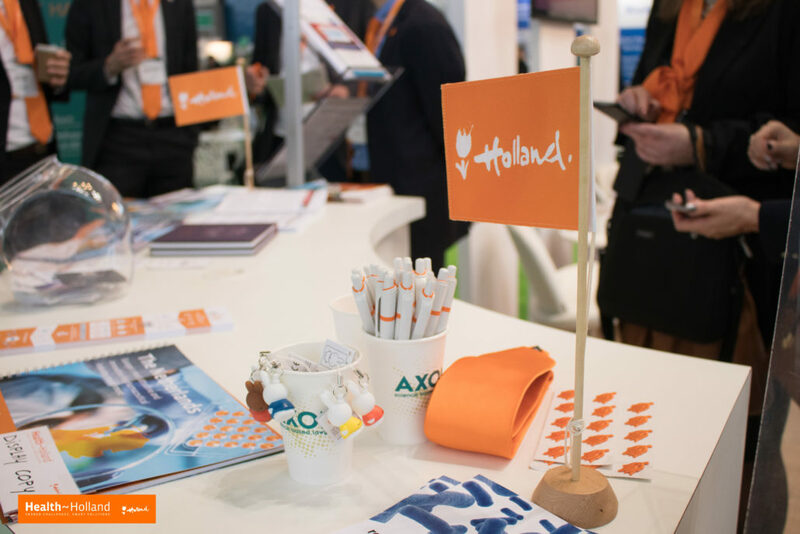 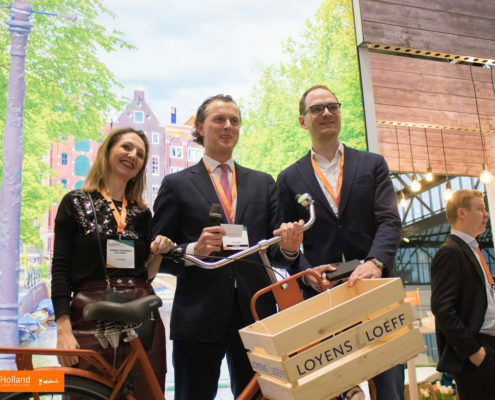 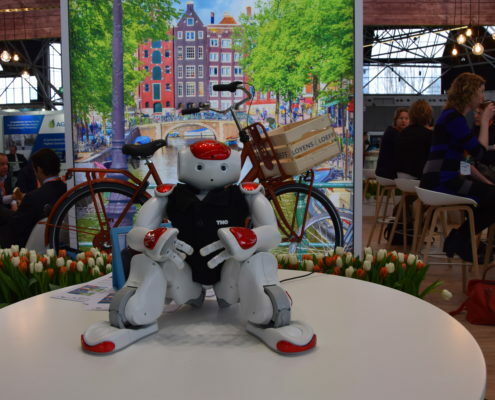 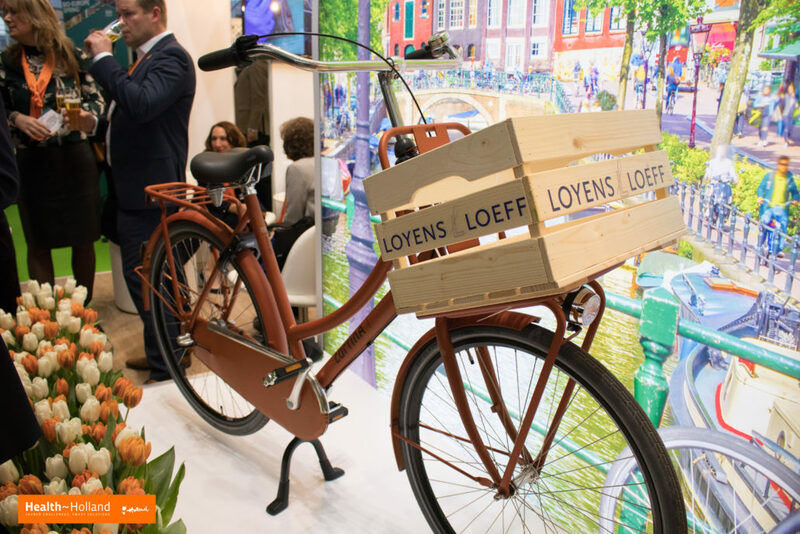 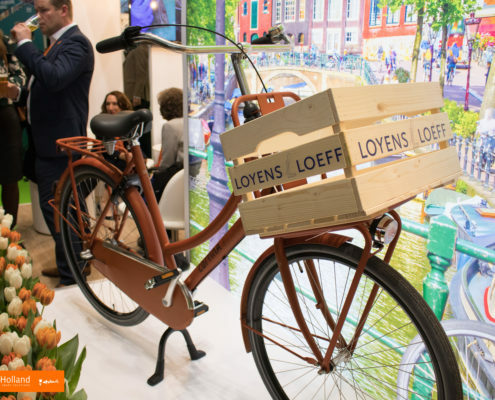 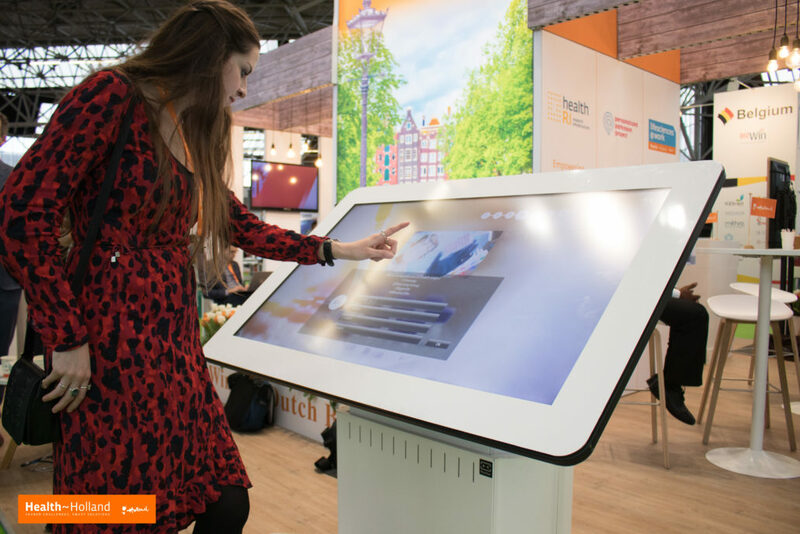 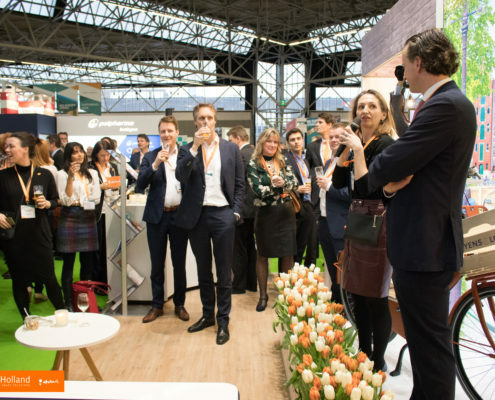 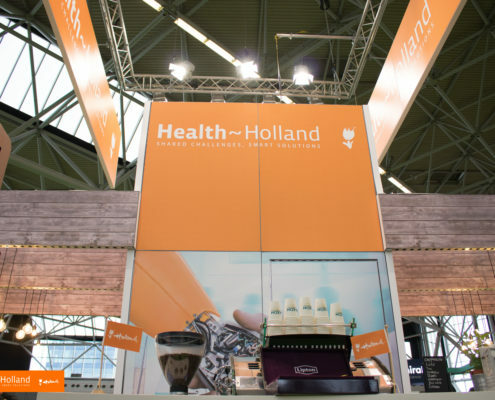 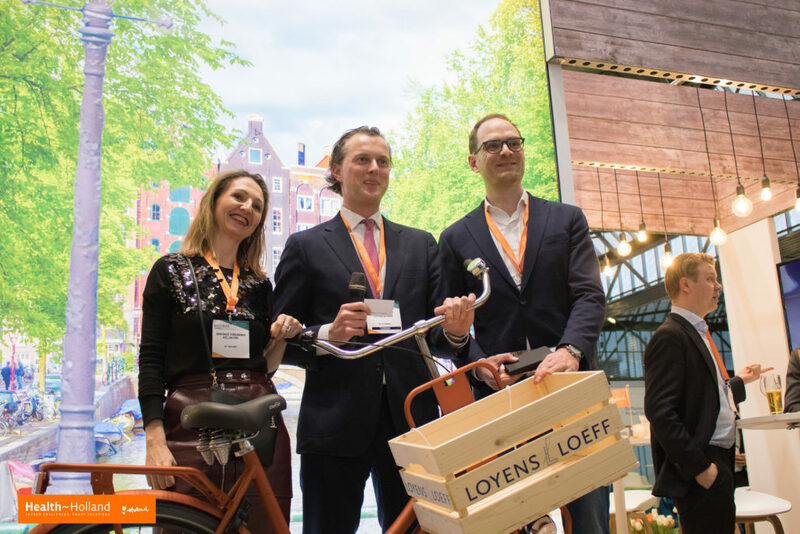 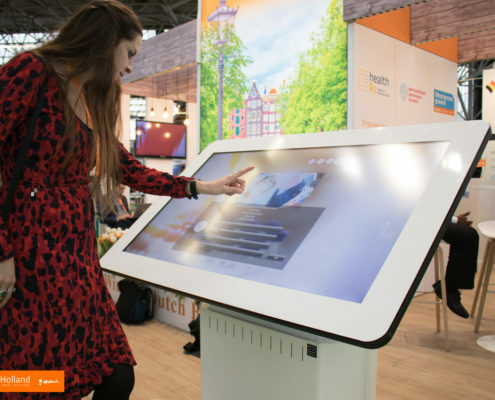 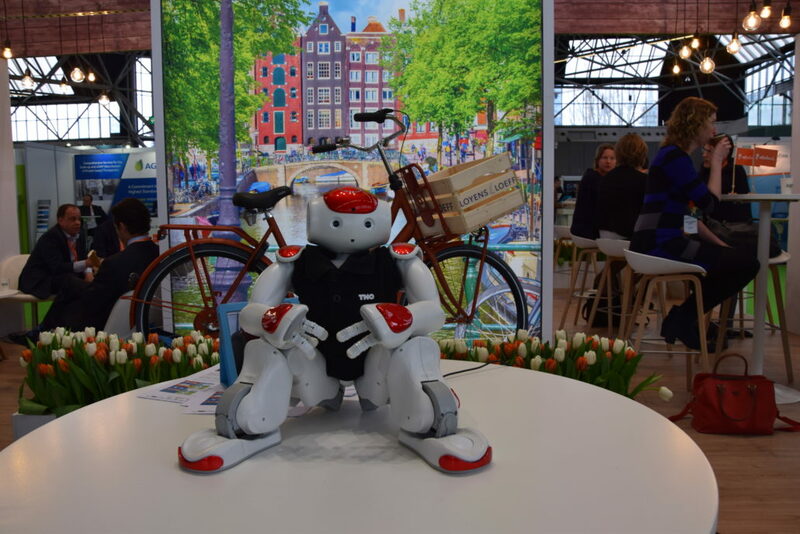 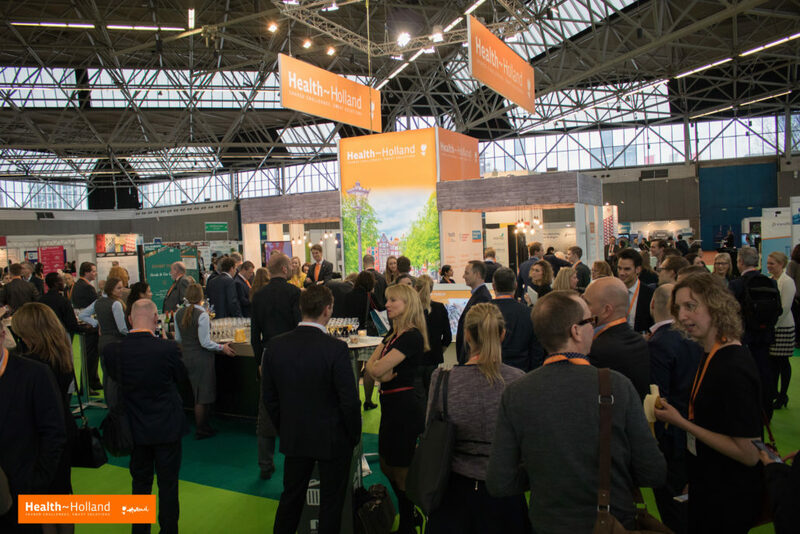 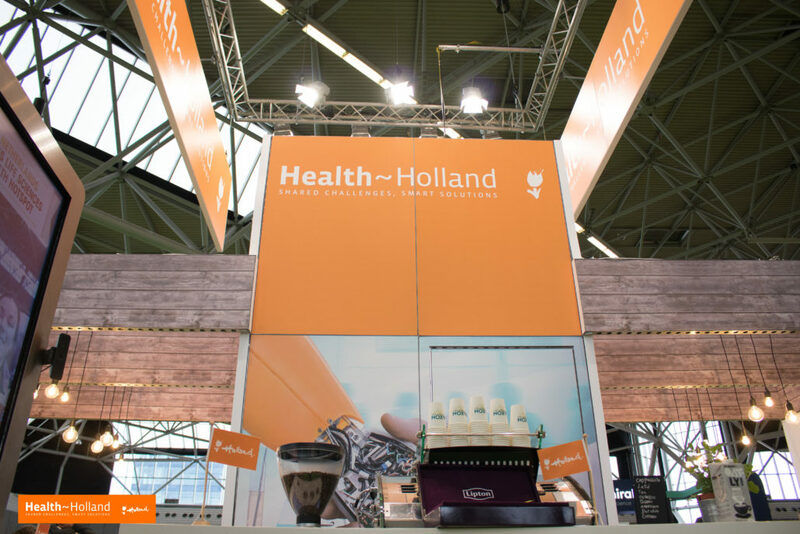 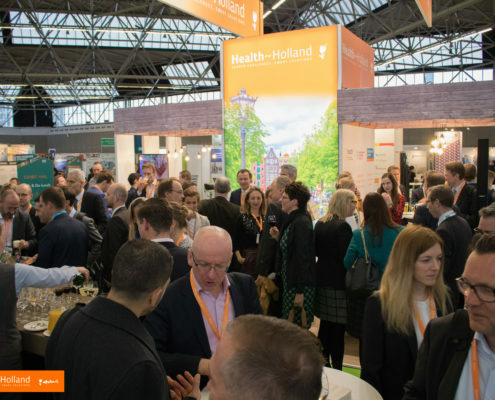 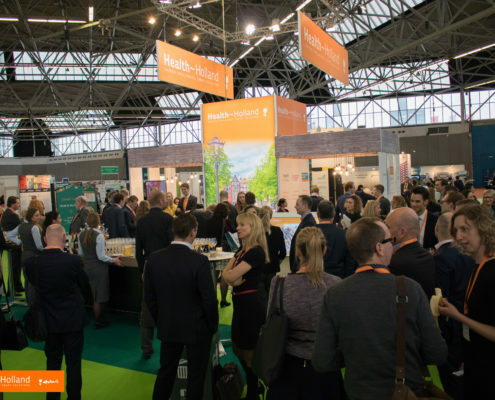 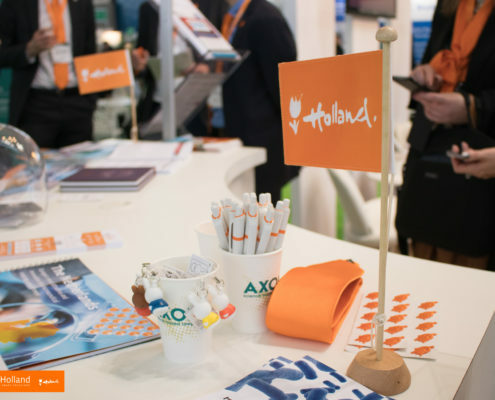 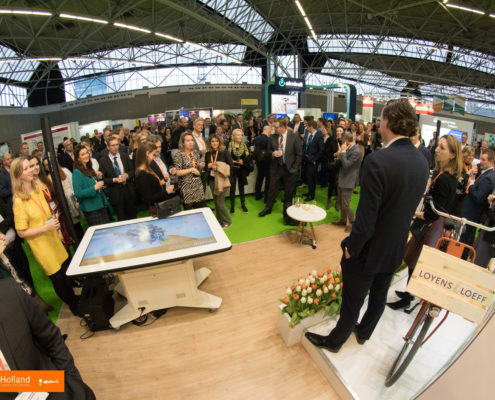 At the heart of the exhibition floor, the brand new Health~Holland Pavilion was a not-to-miss landmark, featuring the Dutch LSH strengths, TNO-robot Charlie, great Axon Lawyers coffee and more. 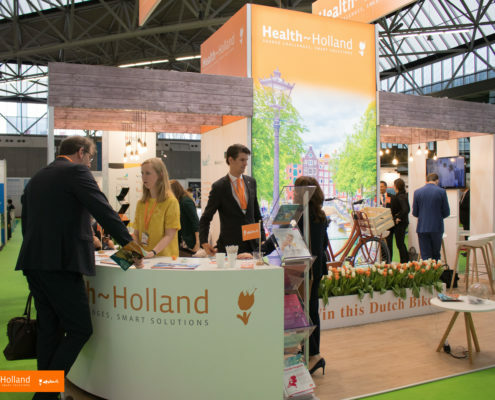 The Pavilion served as the central information point for international visitors with questions regarding the Dutch business and innovation climate and life sciences & health sector. 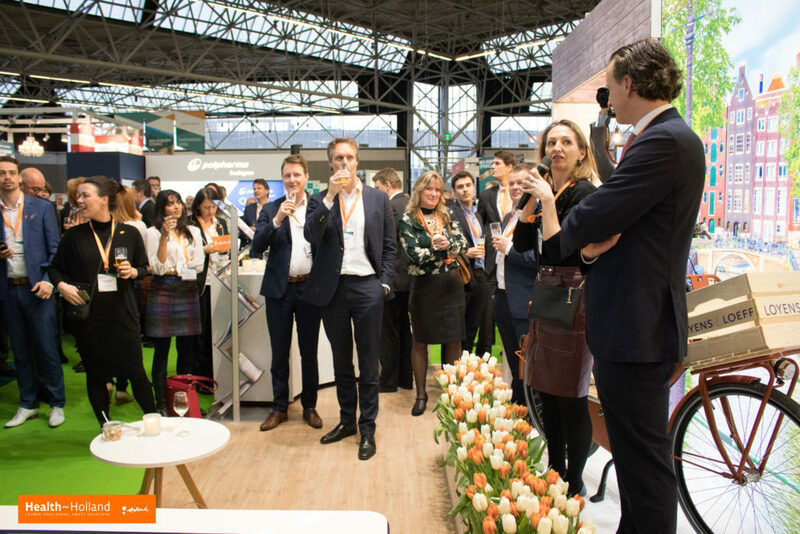 In addition, the living-room style pavilion offered the Dutch conference participants a welcoming base to meet business partners. 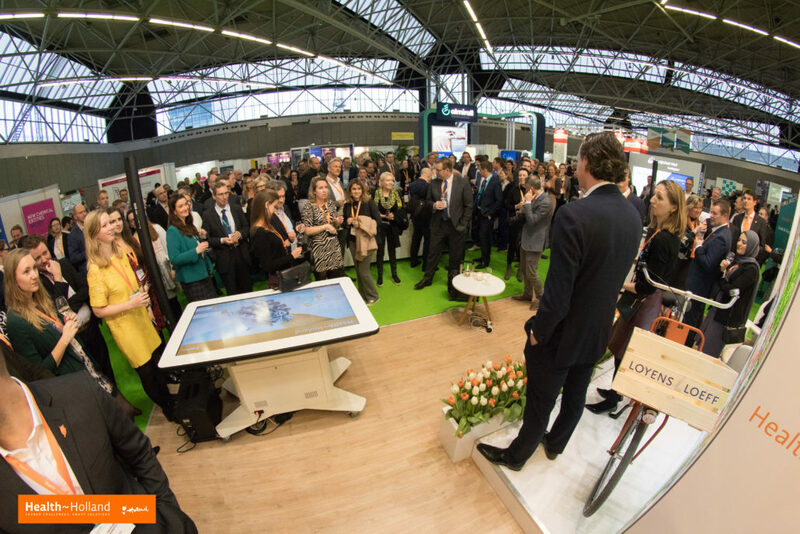 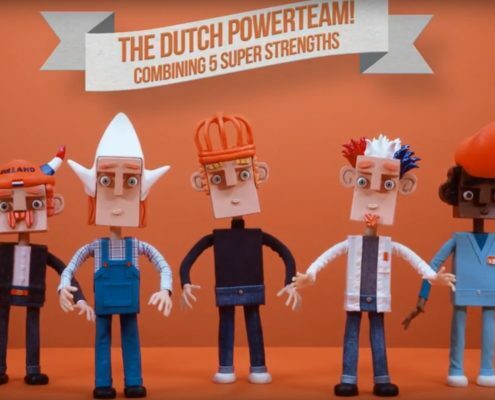 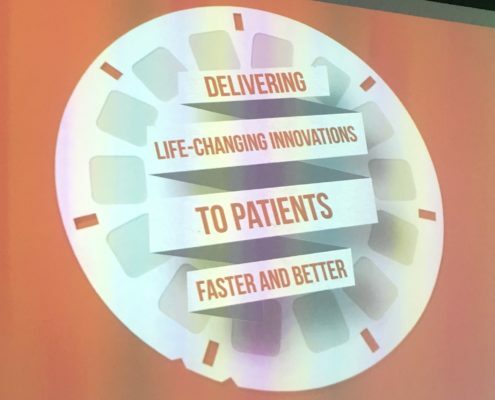 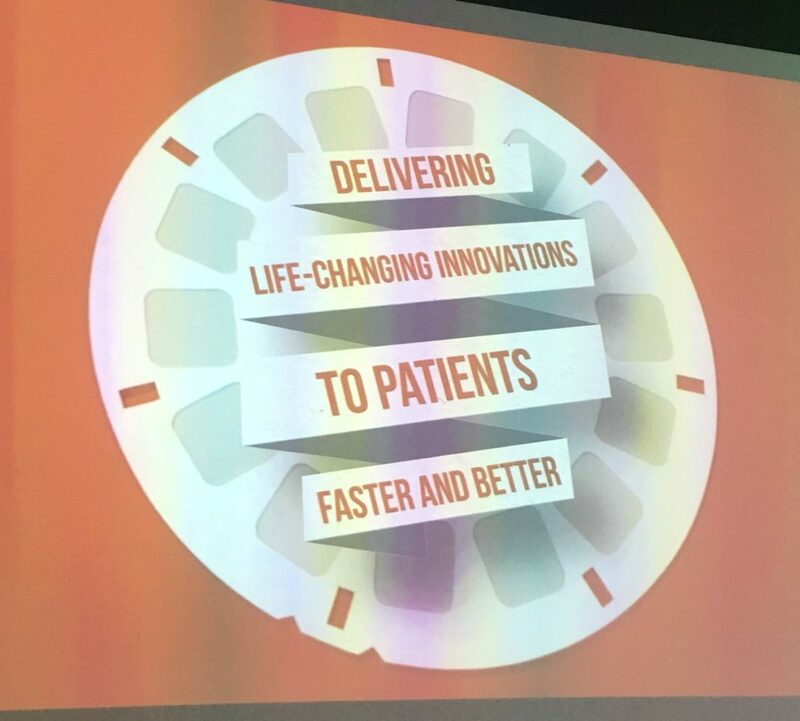 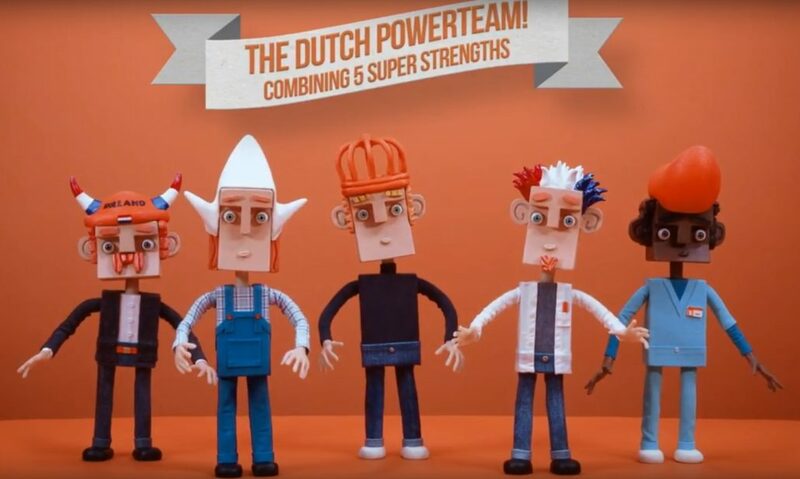 The conference’s plenary opening premiered the latest Health~Holland video, presenting the Dutch Power Team launching the sector’s ambition to deliver innovations to patients faster and better (here, you’ll find the video as well as the making of). 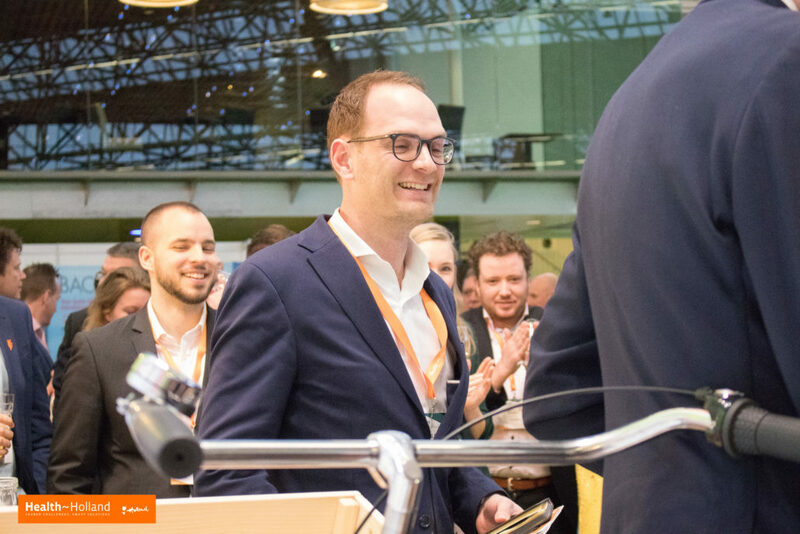 Subsequently, seasoned Dutch biotech entrepreneur Dinko Valerio took the stage. 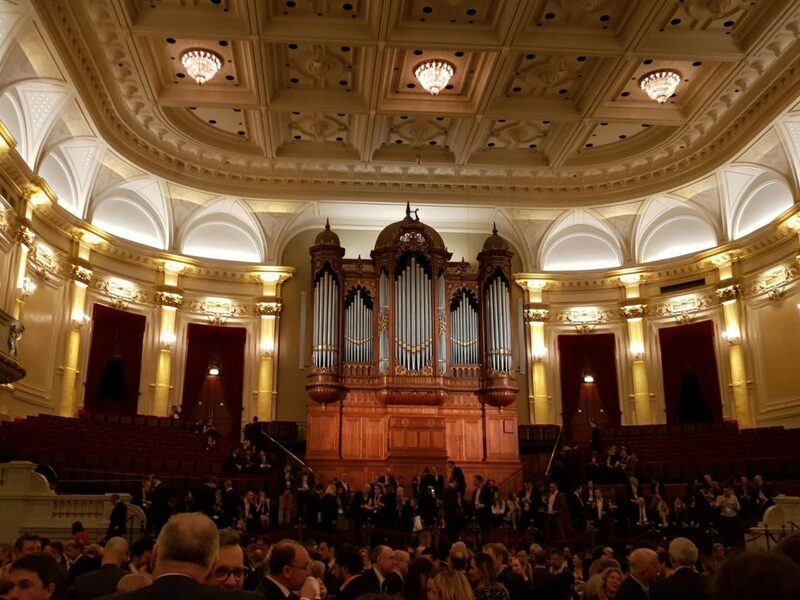 Dinko impressed the audience with a passionate and thought-provoking opening speech, celebrating biotech entrepreneurship and the burning ambition to find solutions to truly existential problems (read his speech here!). 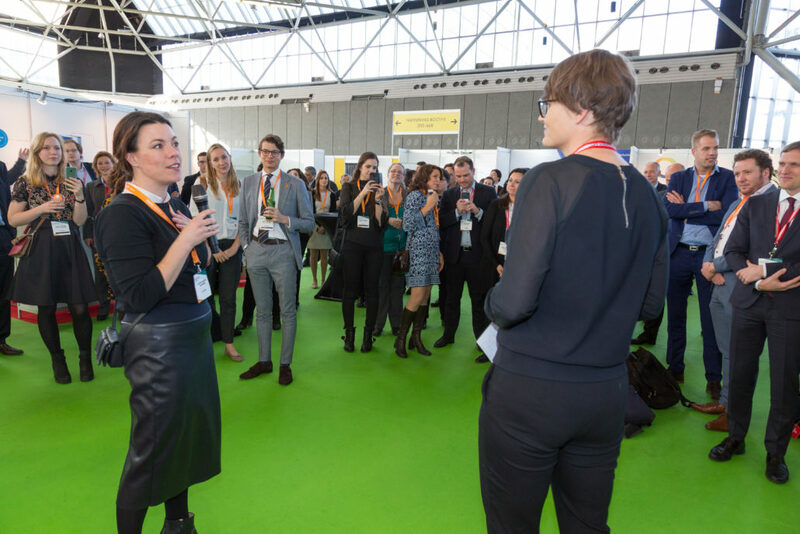 Overall, many Dutch biotech champions participated in the conference’s educational program. 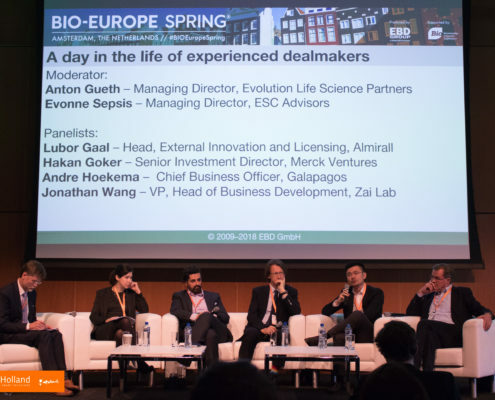 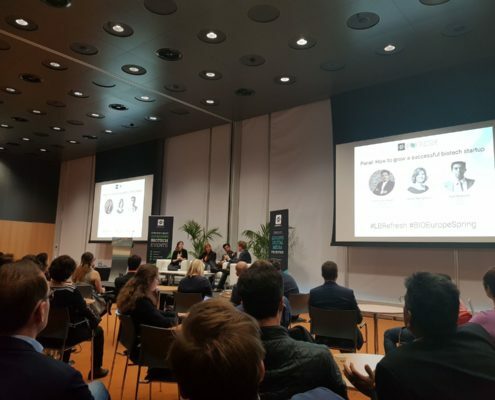 Among others, Andre Hoekema of Galapagos, Kite Pharma’s Markwin Velders, Shelley Margetson of Gadeta, and Thomas Vlaam of Amylon Therapeutics spiced up the panels and workshops by sharing their views on various aspects of biotech entrepreneurship. 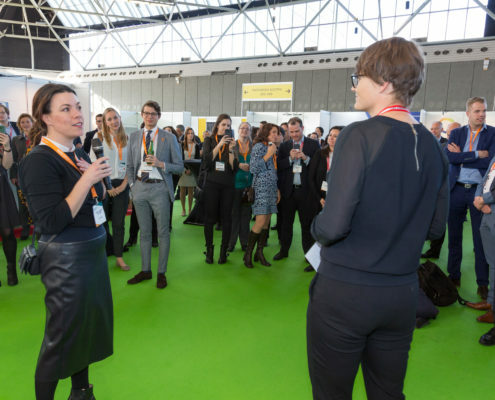 As we all know, the social program of a networking conference might be as important as the formal program. 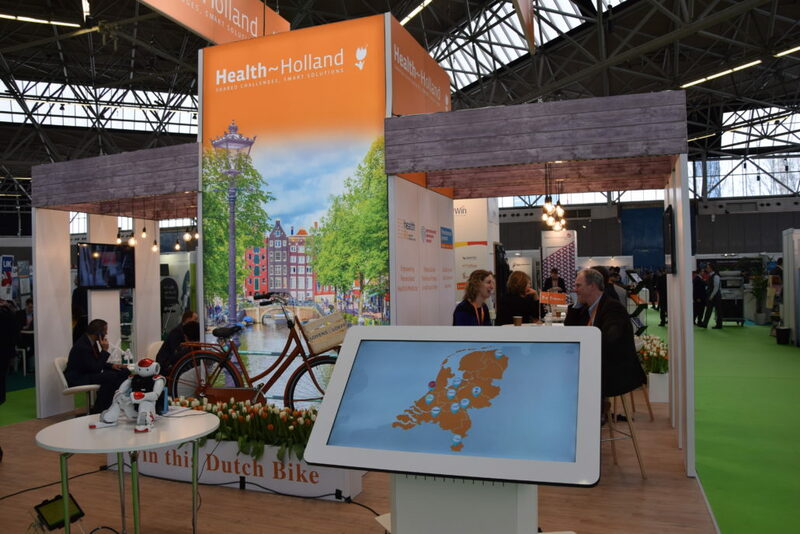 And BIO-Europe Spring Amsterdam ticked that box, too. 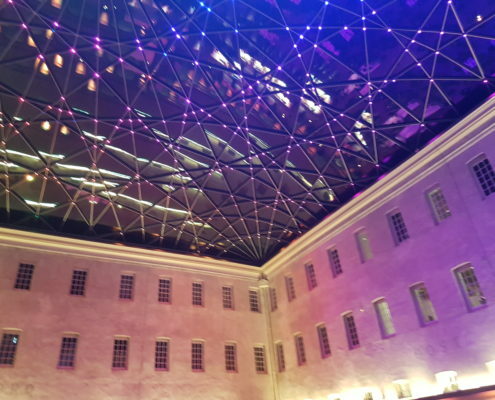 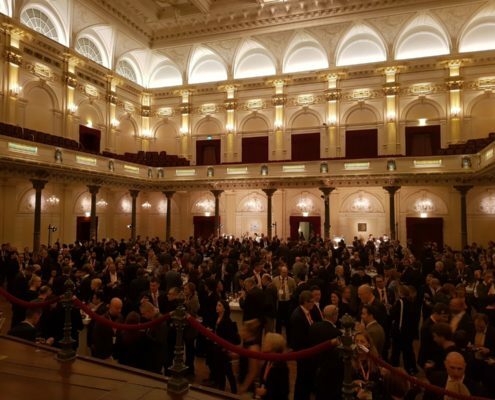 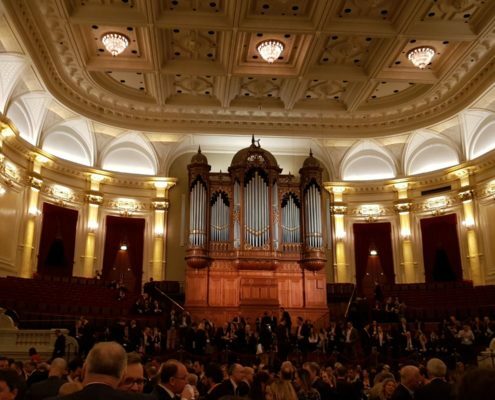 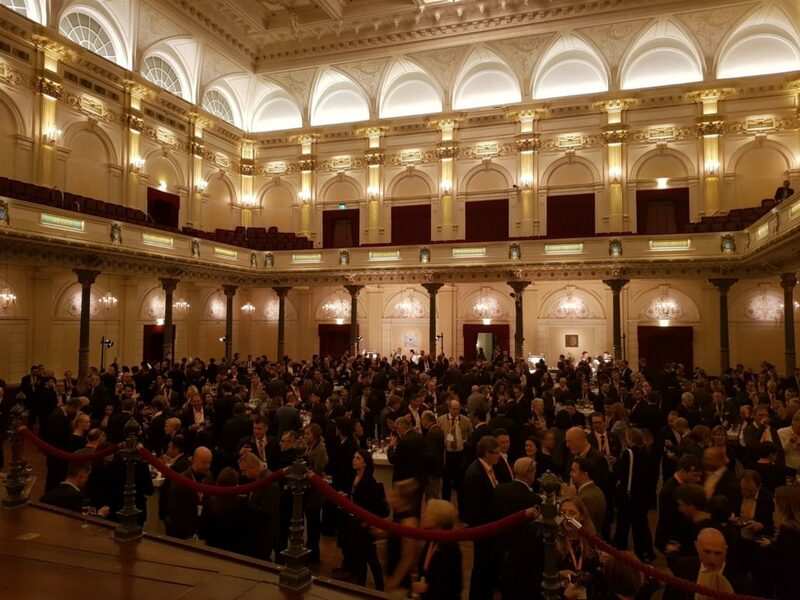 Three beautiful evening venues stunned international and national guests alike: the Royal Industrieele Groote Club, the Royal Concertgebouw and the National Maritime Museum. 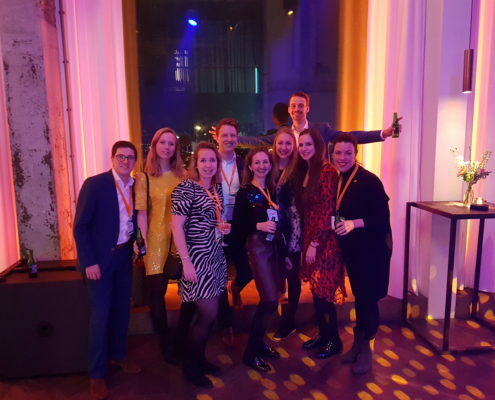 After a tasty meal under the glass roof of the last venue, 300 guest continued their evening at the Holland Party in the A’dam Tower, dancing the night away while enjoying Amsterdam’s most stunning view. 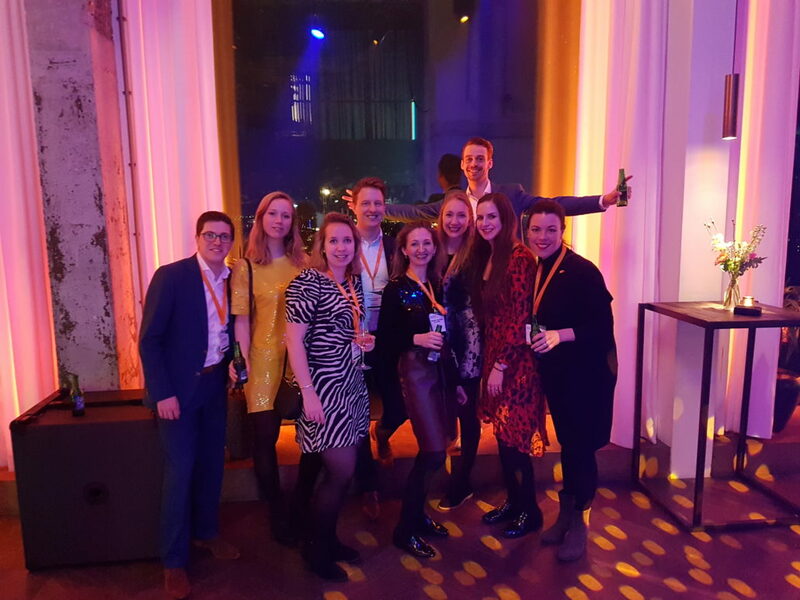 We thank the Holland Party sponsors for a night to remember: Bio-Connection, Galapagos, HollandBIO, Health~Holland, Kite Pharma, ProQR and SMS-oncology.